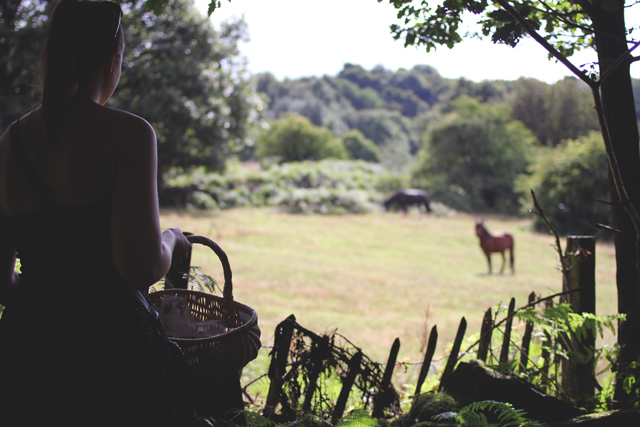 I have posted before about how much I love going for walks, which I believe is perfectly normal for someone in their early twenties...but what I haven't mentioned is my love of foraging, or at least my love of the idea of foraging (I am only a novice). 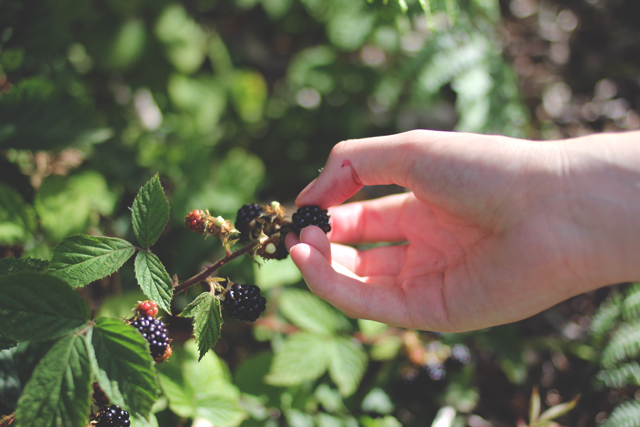 The first time I properly went foraging, I ended up with two gigantic mosquito bites and I'm talking over three inches long, plus a load of what we thought was rhubarb, which was most definitely not rhubarb. Speaking of which, if any of you know the name of any wild plants that look like rhubarb please let me know. We did however, end up getting a load of wild garlic which is so delicious, especially when used in garlic bread. 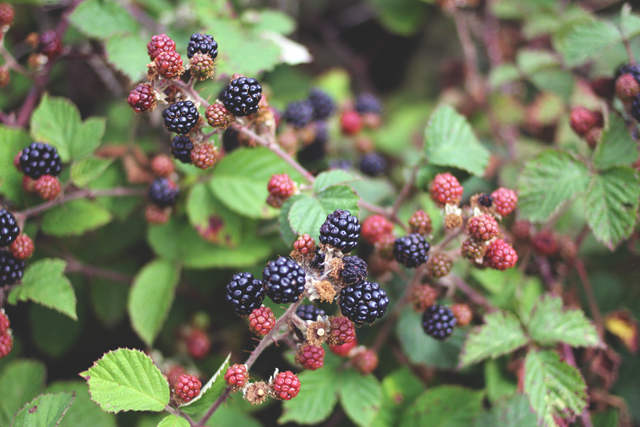 Now whilst I don't believe that blackberry picking can really be called foraging as it doesn't take any expert knowledge to identify it, it does fulfil that love of going outside, working for your food and above all, getting the lot for free. The place where we went to pick our blackberries is just on the edge of the Peak District and just up the hill from this lovely walk. It is a beautiful stretch along a quiet country lane and up a path through fields. 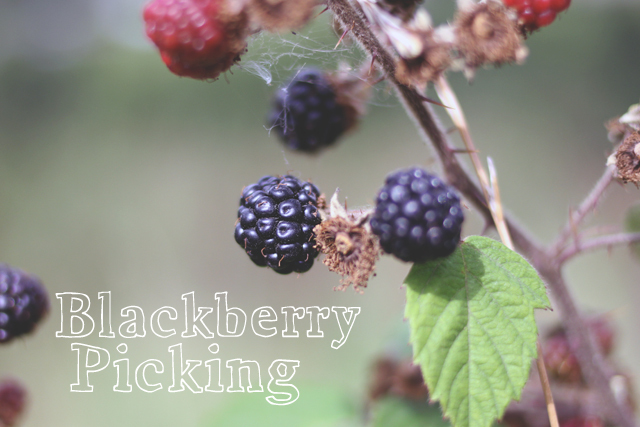 The blackberry bushes cover the majority of the dry stone walls that divide the sloping fields, which made us spoilt for choice. 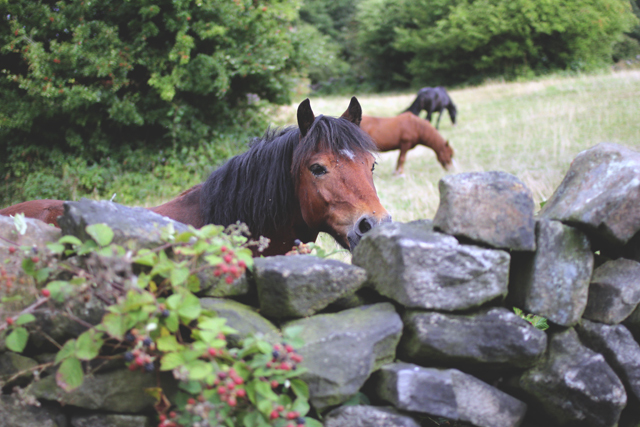 ...but at the moment they are more interested in munching on the berries. I can hardly blame them. 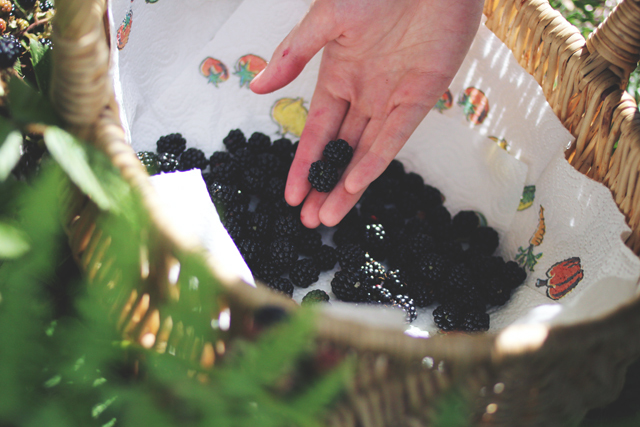 We came away from an hour or so picking with quite the heavy basket. 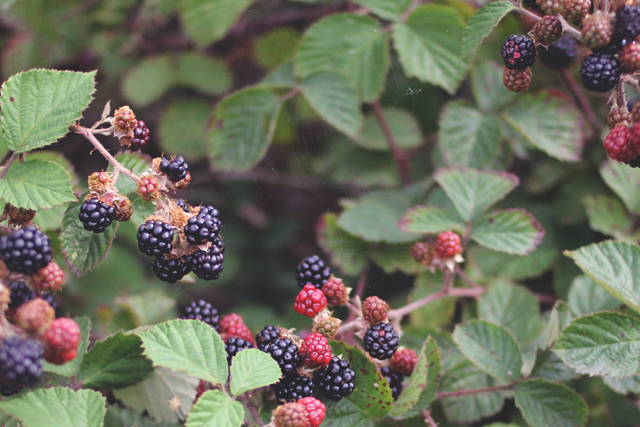 Whilst we had loads of blackberries to choose from, it is always best to be careful not to pick too much in one area as you need to leave some for the wildlife too. 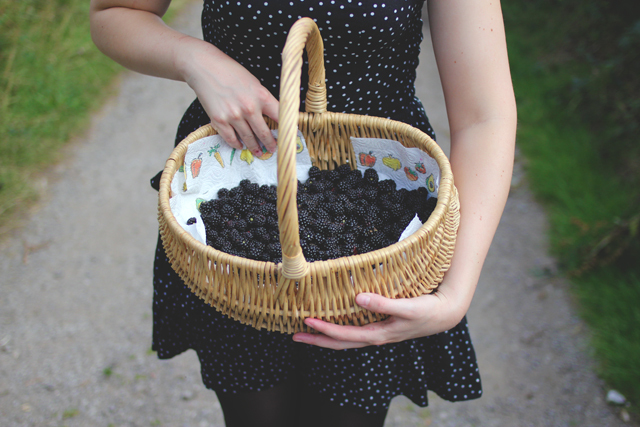 I'm so looking forward to sharing the recipes I have planned which use these delicious blackberries. Not just puddings mind, I'll definitely be popping a cocktail recipe in there too!